Sonny Bill is on indefinite leave from Super Rugby. Sonny Bill Williams has arrived in Christchurch to support the Muslim community following last Friday's terror attacks on two Christchurch mosques. The All Blacks star praised the New Zealand public for the way they have rallied around the Muslim community. "It's beautiful," Williams told TVNZ of New Zealand's compassion and response to the tragedies when he touched down at Christchurch Airport. Williams, a devout Muslim, has taken leave from the Blues and will miss Friday night's match against the Highlanders. "I think we have to be gentle at the start because there are a lot of mixed emotions," Williams told TVNZ. "You have just got to do what is best for the victims, but then moving forward I think something beautiful is going to happen." Williams' sadness at the horrific events in the city last Friday was evident in a video message he posted on a social media site later that day and it was agreed by all that Christchurch is where he should be at this time. 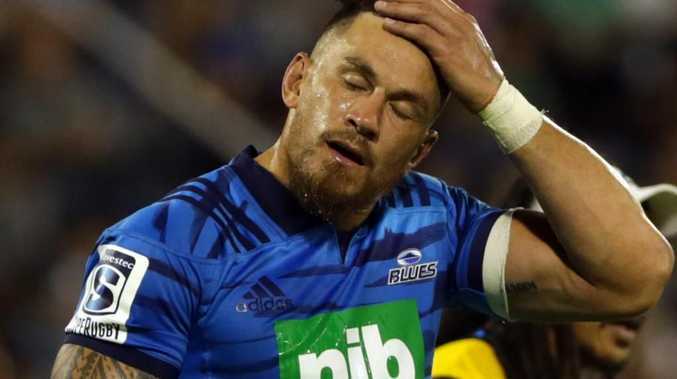 The former NRL star's heartbreak has been further explained by reports Williams' knew multiple people killed in the attack and used to frequent the Christchurch mosques attacked while playing rugby in the city before his move to the Auckland based Blues. "Sonny Bill lost friends at the Al Noor Mosque last Friday," an unidentified friend of Williams told The Daily Mail. "That was where he used to go when he lived in Christchurch. "He prayed there regularly and got to know a lot of people. "Sadly, some of those people were killed and injured in the massacre." Williams' side play the Highlanders at Eden Park on Friday but assistant coach Tom Coventry today revealed the Blues' team management were set to approach Williams about a trip south anyway. "We were going to ask Sonny whether he would like to go so we were all in agreement," Coventry said. "It was a pretty short conversation. We all know how hard he took it - it was a pretty simple decision to make. "Sonny has gone down to aid and support his faith and the people he represents. It also lines up with an All Black break. It's been a torrid old couple of weeks for everyone and we'll just do what we can to put in a performance on the field, and we've trained accordingly - we've been pretty good this week." "I think it's admirable, really," Coventry said of All Black Williams' trip to Christchurch to support and raise funds following the attacks on the two mosques which have resulted in the deaths of 50 people. "His faith is strong. He felt for the people of Christchurch and obviously he had a lot to do with the Crusaders over his long career - he spent a couple of years down there. "We admire what he's standing for and the fact that he wants to go there and grieve and be part of the support for the region and people of New Zealand. He has our best wishes. It's a sign of Sonny having a real caring side. Rugby is important for everyone but at the end of the day it's just a game and people and our country come first." Earlier this week, Williams announced on social media that he had partnered with the MATW Project to raise funds for victims' families. News All you need to know about where and when Anzac Day commemorations are being held in the Gladstone and Banana regions. News Find out why people are interested in wargaming. Politics Ballot order for Flynn candidates revealed.